I hadn’t heard of this organization prior to this election but they appear to have been active for the last 10 years. Friends of Affordable Housing is a non-partisan Political Action Committee that has been active in selective elections within Orange County during the last 10 year. The organization was first organized to support the Orange ballot for Affordable Housing Bond Money. The committee has also periodically sent questionnaires to candidates running for Orange County Commissioner and Chapel Hill Town Council. Core members of the committee felt the residents of Chapel Hill should have the opportunity to know the positions of the various candidates running in 2007 for Chapel Hill Town Council. The Committee felt the relocation of the IFC, the transition to more attached multi-story housing, the opportunity for more affordable housing in Carolina North, and the possibility of selective use of “payment in lieu” of affordable housing units were issues of significant concern for Chapel Hill residents. The committee members are all long standing residents of Chapel Hill. The four review committee members have extensive executive committee experience in non-profit boards including the IFC, Habitat for Humanity, Dispute Settlement Center, YMCA and various Orange County boards including the Commissioners Committee on Affordable Housing. Committee members have also consulted with staff members of several of the Affordable Housing providers. The NC Board of Elections has informed us that Friends of Affordable Housing does not have to register as a formal PAC for the 2007 election because we will not be raising money to support a specific candidate or issue. They weren’t active in the 2005 race even though there was a slew of known affordable housing related issues before the Council. As you know, initiatives to increase the stock of all types of affordable housing in Chapel Hill have been an election issue for many years. In order to give Chapel Hill residents a better understanding of your position on this critical subject, Friends of Affordable Housing has developed a 7-item questionnaire asking you to address some of the current issues. A review committee of the Friends of Affordable Housing will review your responses and may endorse specific candidates prior to the November election. Your comments will also be made available to the general public. Thank you for your cooperation; we look forward to hearing from you. They obviously understand that maintaining and expanding affordable housing opportunities will require even more attention of the new Council than the last two years. 1. Please describe your commitment to creation of affordable housing initiatives in Chapel Hill. I’m dedicated to continuing our Town’s commitment to providing affordable housing in Chapel Hill. We need to re-evaluate, though, our current initiatives, our capability to manage our affordable housing stock and to rebalance the types of housing we’re currently providing. With that, we also need to adopt fiscal policy that helps folks keep the most affordable housing they have – their current homes. We’re already seeing a trend of long-term residents, after decades of contributing to our community, being “shown the door”. Those just starting out, can’t even get their foot in the door without substantial incomes. Finally, we need to make sure our Town’s growth policies align with our housing goals. RAM Development, the Town’s private partner on the Lot #5 boondoggle, is proposing to replace the somewhat affordable apartments with hundreds of big-ticket condos. Developments that displace existing affordable housing stock, like Hillsborough 425, are part of Chapel Hill’s future. We need to make sure, though, that we anticipate the consequences of those displacements. 2. Please give your opinion about the actions taken by Town Council in the last 4 years to increase the stock of affordable housing in Chapel Hill. I commend the Council for their intent. I applaud their successes. But, we could’ve done better. Too much in lieu money, not enough square footage. Necessary reform in managing our housing stock or being able to adapt to changing conditions left undone for too long. Opportunities like Roger Perry’s %30 offer at East 54 or Greenbridge’s Northside neighborhood in-fill proposal missed. Rebalancing the kind of housing we offer, not adequately addressed. 3. Given the current impasse with the County, what would you do as a Town Council member to proactively advance the effort to find a new site for the IFC Men’s Residential Facility? a. Would you oppose locating the facility in certain parts of town (e.g., downtown; near Seymour Center)? I would like to see the IFC split the food service and the shelter functions. As far as the Men’s Shelter, our Town – if a leadership vacuum exists at the county level – has a responsibility to manage this process. I believe the Town should work with the IFC, proactively, along four basic thrusts. One, develop criteria that incorporates both the IFC’s requirements for just the shelter component and our Town’s goals for development, transit and neighborhood preservation. Transit opportunities, accessibility to health and other social services are a few of the criteria I would suggest. Two, once we have the mutually developed criteria, find the site that best suits our joint needs. Our community needs to be involved in both the development of relevant criteria and the selection of the site. 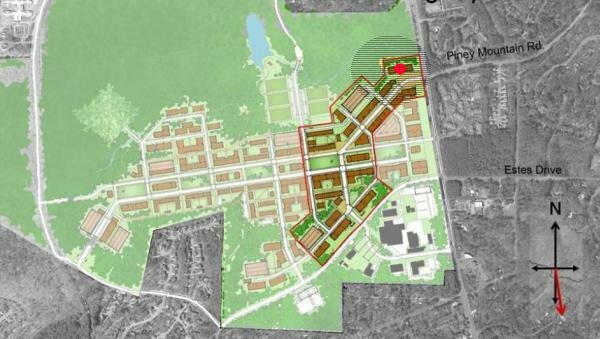 Locating on Homestead makes sense, especially over Eubanks or Millhouse but there might be better sites based on the decision matrix the IFC, other interested parties and the Town develops. Three, our Town could provide some logistical support to the IFC in developing a task list to move the shelter. The Chamber asked me if I’d support pulling the IFC’s lease on the existing shelter location. No way I did say that our Town should help develop a punch list of items with specific performance goals and a timeline to hold the IFC to – but taking a punitory tack is – in my estimation – a poor strategy. Four, we need to bring our community into the process early, educate the public on the relevant issues and, proactively, publish a guide on how the Council will measure the success of this project. If Council affirms, as I believe we’ll be able to do, that the population at the Men’s Shelter will not increase criminal activity in surrounding neighborhoods, we should already be prepared to assess that activity and report back if reality matched our projections. 4. What new programs do you envision to increase the stock of affordable homes in Chapel Hill? a. Do you think priority should be given to one type of affordable housing (e.g., transitional housing, special needs, rentals, small condo’s, larger owner occupied detached homes) over another? We need to rebalance our housing stock based on a few criteria. First, what is the most diverse kind of stock we can reasonably manage using existing resources? Second, look at partnering on denser developments like Raleigh’s Carlton Place (I wrote about this development here: http://citizenwill.org/2007/03/21/raleighs-carlton-place-a-downtown-affordable-housing-commitment-worth-emulating/ ). Third, like Carlton Place, re-evaluate rental housing within our current mix. b. What type of affordable housing should be built in Carolina North and on the Greene Tract? I would like to see affordable housing developed on the Greene Tract that is akin to that of the Homestead Park neighborhoods. I would also like the housing to be on the eastern side of the tract to integrate into those neighborhoods, take advantage of existing and new amenities, be closer to existing transit, take advantage of new transit capabilities (depending on what happens at Carolina North) and avoid damaging some of the more ecologically sensitive areas. 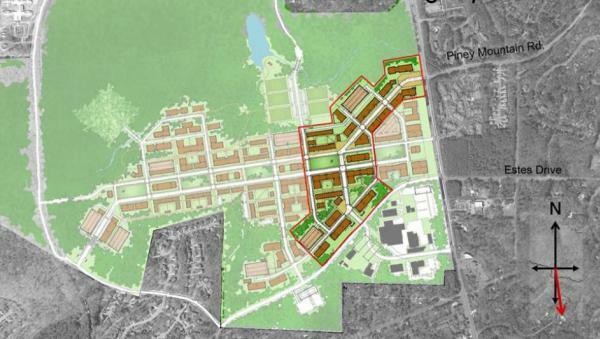 The University has suggested that housing on Carolina North will be market driven. I would like to see a mix of units that parallels the stock that UNC commissions. 5. In the last year, Town Council has approved three mixed-use developments: 54 West, Greenbridge and Ram’s Lot 5. Under Chapel Hill’s Inclusionary housing policies these developments will generate almost 100 affordable one and two bedroom condo units. However, these units will not serve lower income families with children. a. In your opinion, do current policies provide the types of affordable housing that are really needed? If not, what should be changed? As you might be aware, I’ve been critical of the Town’s Lot #5 development for a number of reasons. The project is fiscally irresponsible, the original affordable housing stock was not family friendly, the affordable housing parking was off-site (second class citizens), the condo fees were steep and not capped, the condo units – especially the larger ones – will most probably server the student community, measurable energy efficiency and environmental standards were dropped, and on and on. You can read my web site – citizenwill.org – for a detailed discussion on these and other Lot #5 ills. For all my criticism of the majority of the Council’s decision to take on this money pit, I am happy that Cam Hill did accept my recommendation to resize some of the affordable units to accommodate families. Will families find them inviting? I’m not sure. Considering Lot #5’s location, I’m quite concerned that the Council never took my call to look at affordable living as well as affordable housing seriously. What is the cost of living in one of these units if you should be on the lowest economic rung of those that can purchase a unit? Will the economics of that location end up making this housing more transitional in nature than was originally anticipated? The units at East54 strike me as being more family friendly. I was encouraged, at least until the Harris-Teeter moved, that a mix of services were within easy reach. I was discouraged though by the Landtrust’s assessment that these units would be transitional in nature. And, of course, continue to be concerned we couldn’t take advantage of the developers offer to build %30 affordable housing. With Greenbridge, I believe our philosophy of integrative units, a good goal, interfered with an excellent opportunity to acquire more square footage. The rejection of the proposal to build family units within an existing adjacent neighborhood was disappointing. Our Town policy should be flexible enough to adapt to exceptional opportunities that don’t diverge greatly from our housing goals. b. Can Chapel Hill’s Inclusionary housing policies be utilized to generate affordable rental housing? If you think so, please explain how such rental housing would be managed and maintained. From my understanding, the existing inclusionary policies don’t align with encouraging development of rental housing. As the inclusionary zoning process continues, we need to make sure rental becomes more of an option. 6. Many affordable homes are “aging” and will require significant maintenance. Is it appropriate for public funds to be used for long-term maintenance? If so, what sources of funds should be used? I’m interested in the proposal for a rotating loan fund to assist folks in maintaining their properties. This loan fund, if created, needs to come from monies outside the general fund. I would not support additional Town debt – via bonds or other mechanisms – to fund this loan program. 7. Do you think “payment in lieu” of affordable housing construction should be accepted from builders? If so, what guidelines should be used and how should these funds be used? Over the last five years, my sense is the Council is accepting way too much in lieu monies over square footage. We’re asking developers to create housing. Housing built now will not only help relieve some of our current demand but also be cheaper than housing built 5, 10 , 20 years out. If we ask for housing, we should get housing. Delay is not our friend. Easy money also erodes are discipline. Square footage over in lieu money should be our guiding principle. This year the NRG decided to vet the candidates via email. In 2005 they held interviews and presented the audio responses. Trying to be thorough, I went a bit overboard this year. Figuring no one would want to wade through 10 pages of answers, I tried to boil down this final response to the NRG. In its Comprehensive Plan, Chapel Hill is committed both to denser urban development and to protection of existing neighborhoods. Do you see any conflict between these goals and what do you feel is the best way to achieve them? There are trade-offs, thus conflicts between the goals of high density and neighborhood protection. To start, in any discussion of density we need to establish the limits of growth. I’ve been using the concept of “carrying capacity” as a guide. Carrying capacity is a multi-dimensional evaluation of an ecosystems ability to maintain a particular population. In biology, this usually means water, food and habitat. In Town, we need to add, for instance, the ability for to maintain a diverse and healthy socio-economic balance within our community. We all can’t live in million dollar condos or pay an extra couple hundred bucks in taxes each year. We don’t currently assess density to that level of detail. I believe we should at least start thinking within those terms as it will help us create a more sustainable outcome. Another general problem with our comprehensive plan is that our process for upgrading our goals as our understanding improves is broken. We need to implement a continuous review process, as suggested by the former chair of the Planning Board, to review our goals in light of achievements to-date, successes and failures. Not only do we need to be more nimble in managing our Town’s comprehensive plan, we need to be much more inclusive in drawing upon our community’s expertise. Three recent omissions in our planning process provide examples of where we need to improve. Here’s the Chapel Hill Sierra Club forum. I’ll be adding some commentary about clear contrasts in environmental policy between the incumbents and the non-incumbents, how we should “walk the talk” on environmental protections – making both large and incremental improvements in our Town’s commitment, and how current policy sets goals the Council never plans to revisit (I guess that’s politics – which explains why I’m just not a political creature). In cooperation with a series of sponsors and collaborators, NRG will host a community forum on Carolina North, the proposed UNC research campus planned for the Horace Williams tract in Chapel Hill and Carrboro. The forum will take place the evening of June 4, 2007, at the Chapel Hill Town Council Chambers at 7:00 p.m. Forum topics will include a review of the most recent discussions and developments, and what these might mean for our community. Our panel will consist of community leaders who have been involved in the Leadership Advisory Committee discussions and other activities concerning this issue. The forum will include presentations from the panel and a question and answer session for citizens. Click here for forum details. What? No Chamber of Commerce sustainability folks? There’s a fairly developed thread discussing the forum, its participants and other ephemera over here on OrangePolitics. This will be a great opportunity to hear different perspectives on Carolina North.